It's almost time to ring in 2013! Once you toast the New Year with delicious <a href="http://www.inhabitots.com/how-to-make-fruit-filled-bubbly-drinks-for-kids-to-toast-the-new-year/">fruit-filled bubbly drinks</a>, get things off to a great start by cracking open a homemade organic fortune cookie customized with words of wisdom for your children for the coming year! 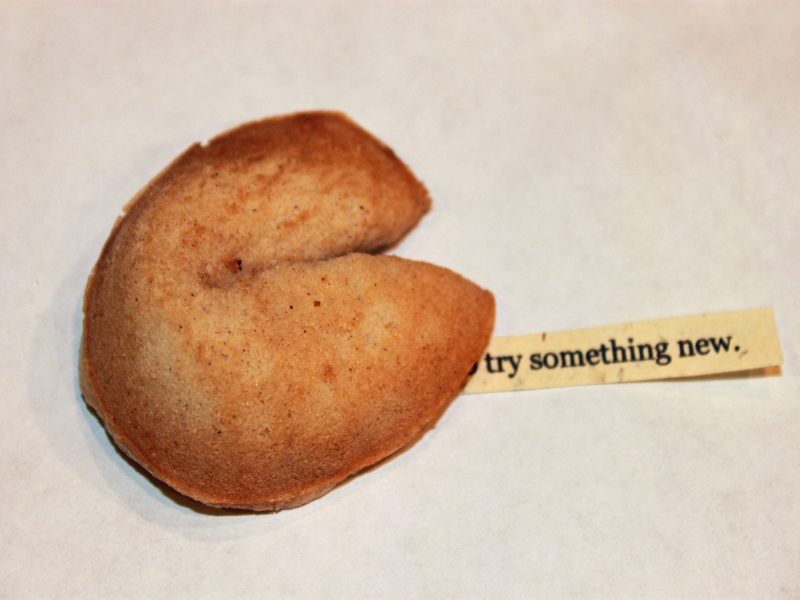 These organic fortune cookies are super simple to make, and they offer a fun, tasty, kid-friendly way to commemorate the passing of time. 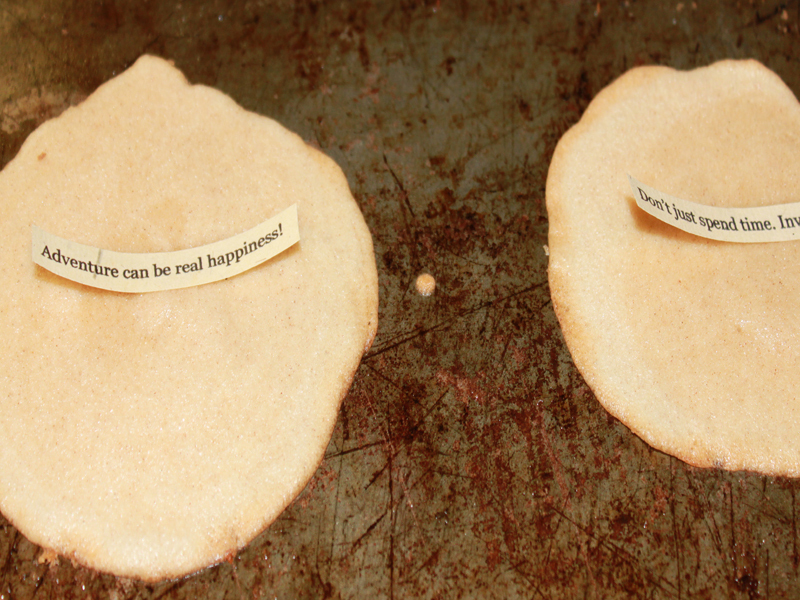 <br><br> After dinner, or after the clock strikes midnight, let everyone in your family choose a fortune cookie -- then take turns reading your fortunes aloud. You can even custom design each cookie for each specific person in your family! 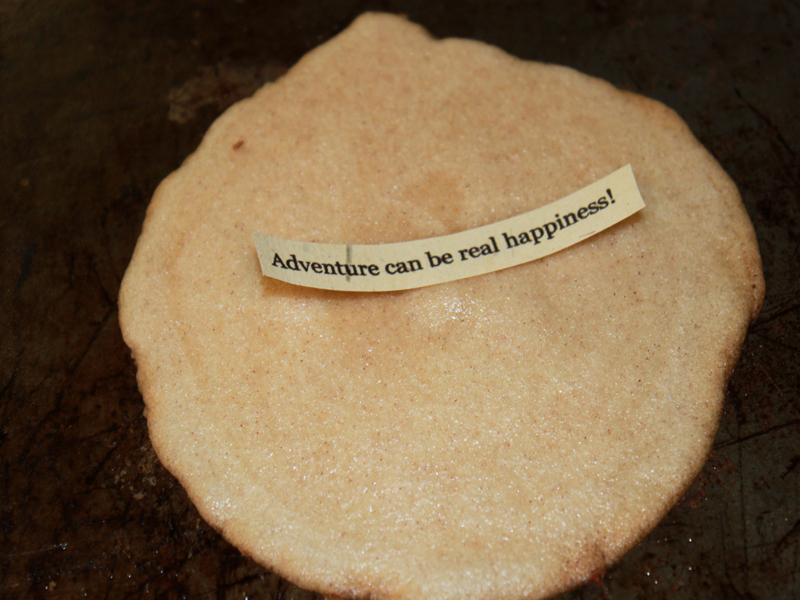 Read on to learn how to make these thought-filled cookies with your little ones, and grab the one-page printable instructions <a href="http://www.inhabitots.com/how-to-make-organic-fortune-cookies-for-new-years-eve/cookies-9/?extend=1">here</a>. <h2>Step 2: Get Prepared!</h2> Preheat the oven to 350° and line a sheet tray with a silicon baking paper or parchment paper. 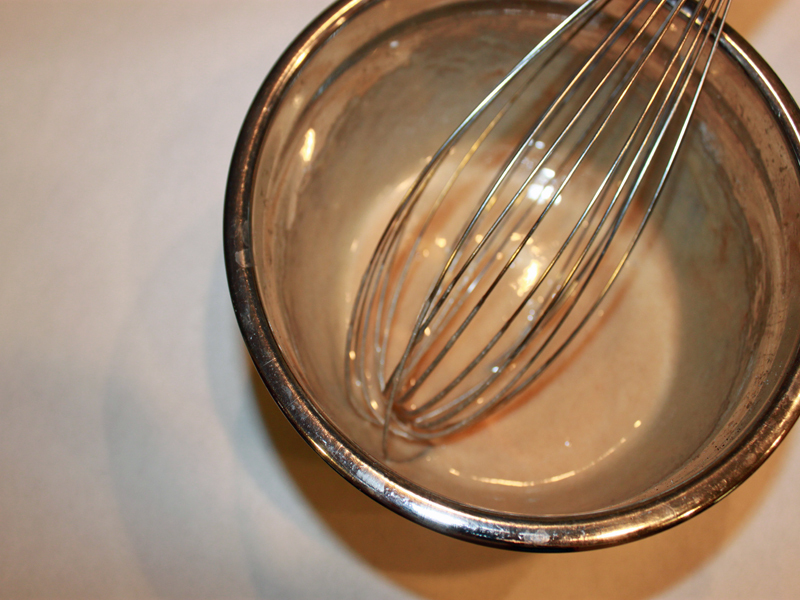 <h2>Step 3: Mix it Up!</h2> Mix all of the ingredients together in a large bowl, mixing with a whisk. The cookie batter will be loose, that is alright. 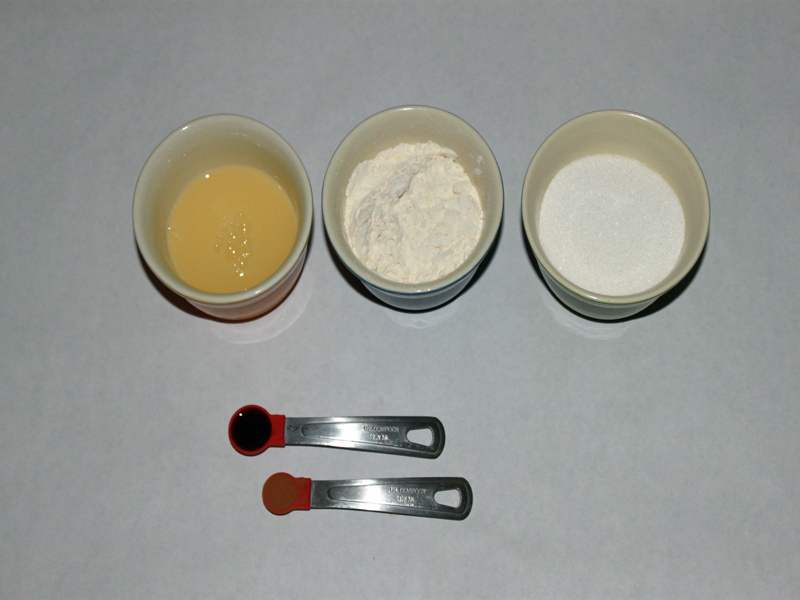 <h2>Step 4: Scoop it Up!</h2> Using a teaspoon, scoop cookie batter onto the cookie sheet, and flatten with a spatula. Make only 2 cookies at a time because they harden quickly - and you won't have time to fold them if you make more than 2 at a time. Step 5: Bake it! Bake the cookies for 5 minutes, or as soon as the edges are starting to brown. 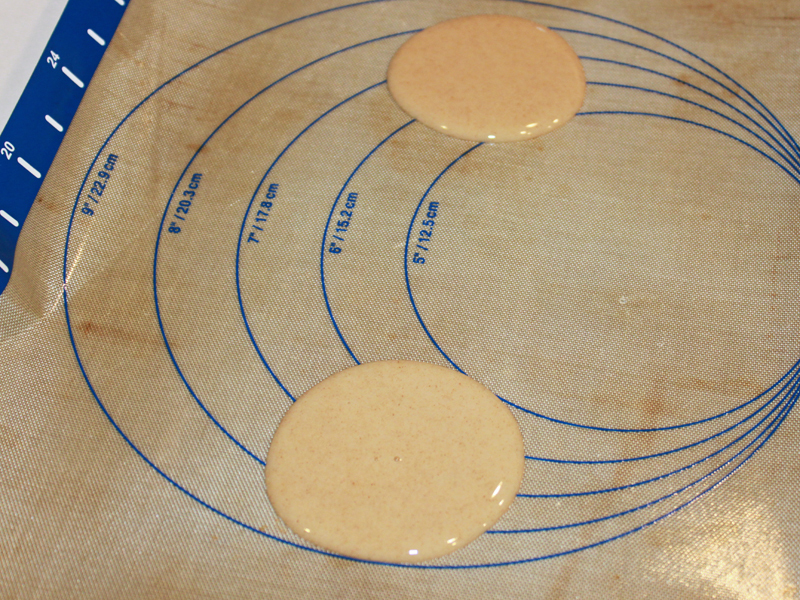 <h2>Step 6: Add the Fortune!</h2> As soon as you remove the cookies from the oven, place a fortune in the center of each. 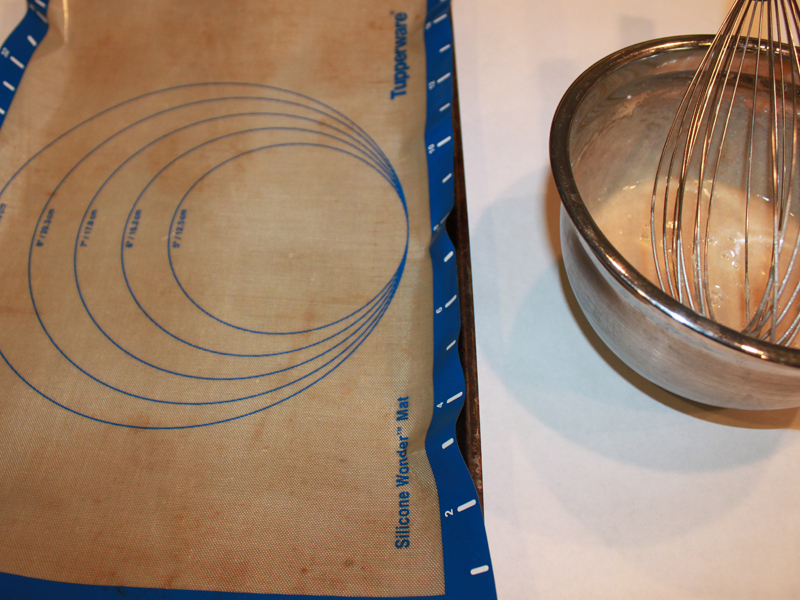 <h2>Step 7: Fold it!</h2> Quickly fold the cookie circle in half. Be very careful, this part is for an adult only - the cookies are hot and they will burn your fingers a little bit, unfortunately this can't be avoided. 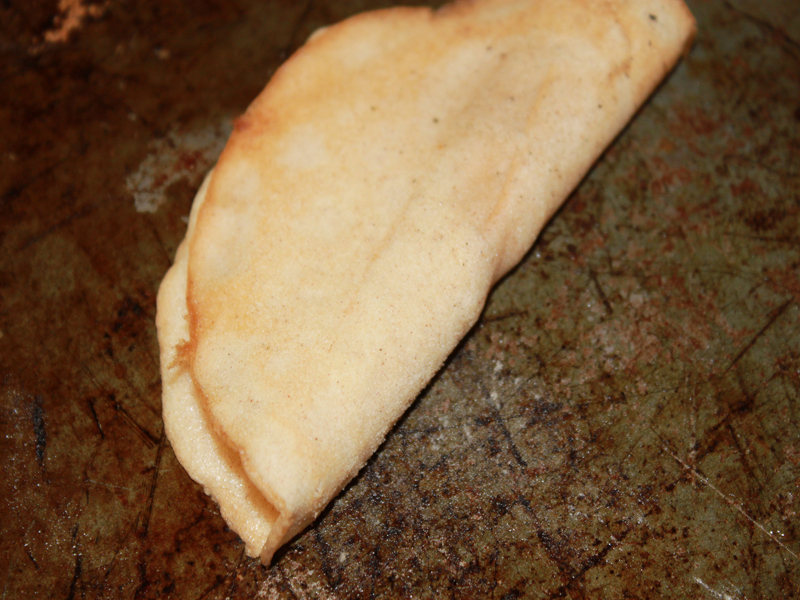 <h2>Step 8: Fold it Again!</h2> Then, grab the cookie by each end and fold together in the fortune cookie shape - hold it in this position for 20 seconds until it is hard. <h2>Step 9: Serve and Enjoy!</h2> Serve these yummy organic fortune cookies after your family's New Year's Eve dinner and surprise them with good fortunes for the coming year! It's almost time to ring in 2013! 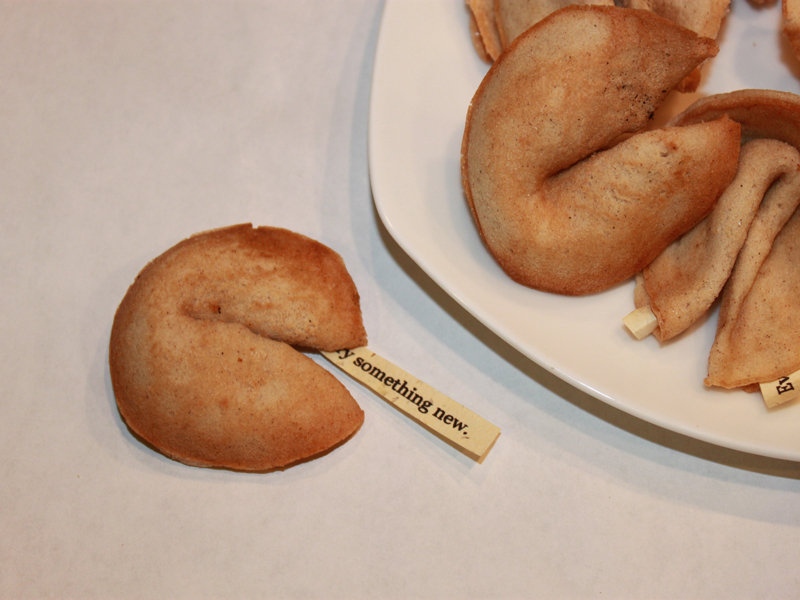 Once you toast the New Year with delicious fruit-filled bubbly drinks, get things off to a great start by cracking open a homemade organic fortune cookie customized with words of wisdom for your children for the coming year! 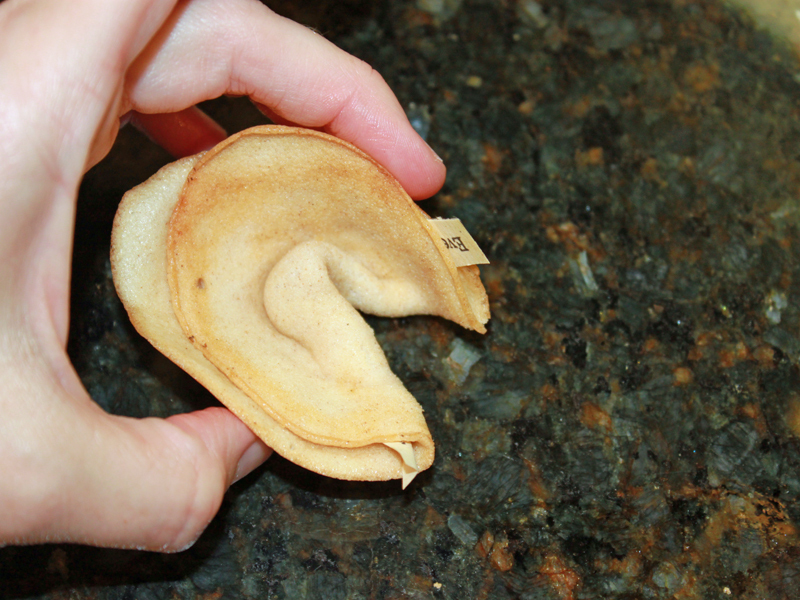 These organic fortune cookies are super simple to make, and they offer a fun, tasty, kid-friendly way to commemorate the passing of time. After dinner, or after the clock strikes midnight, let everyone in your family choose a fortune cookie -- then take turns reading your fortunes aloud. You can even custom design each cookie for each specific person in your family! Read on to learn how to make these thought-filled cookies with your little ones, and grab the one-page printable instructions here.